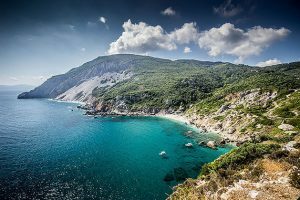 With this incredible Greek Island serving up a flurry of attractions, it’s not hard at all to ascertain the various wonders that sightseeing Skiathos holds for one visitor. 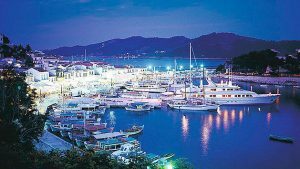 Beyond the lush pine forests, sandy beaches, uber-blue waters and vivid nightlife that Skiathos has to offer, you are uncannily spoilt with an abundance of picturesque settings, architecture and cultural sights to feast your eyes on. 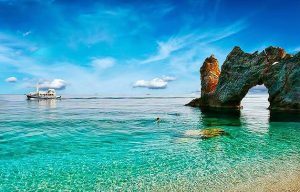 Below, you will find a list of the top 10 most eye-catching and breath-taking things to see in all of naturally beautiful Skiathos. Located just about 5 km north the Town of Skiathos and founded by two monks called Nifon and Gregorios Hatzistamatis, Evagelistria Monastery is a must see. This monastery played a most important role during the Greek revolution, by giving shelter to fighters and refugees and offering economic support. Today, the monastery features a small ecclesiastical museum exhibiting a range of priest clothes, Byzantine icons, rare books and manuscripts from the 17th and 18th century, silver and wooden crosses and the lot alike. Bourtzi is a tiny peninsula at the entrance of the port that divides it in two district parts. A fortress was built there in the 13th century to protect the town, however tody only few ruins survive. This is a popular place for rest and recreation, full of pine trees. 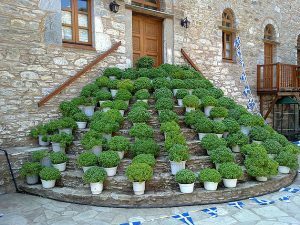 Situated in the capital town itself as one of the most popular things to see in Skathios, is the actual house of Alexandros Papadiamantis. 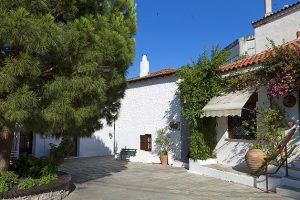 One of the most prominent Greek writers around the turn of the 18th century, Papadiamantis’ house has been turned into a dedicated museum that details the writer’s entire life and work. A must see for intellectuals and curious Greeksters alike. Located in Lalaria, this castle and surrounding rocky cliff used to serve as one of the principal medieval towns during the 16th century. Today, there are remnants of a few churches that stands as a mute witness of the Castle’s glorious past. 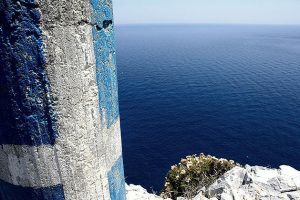 With impenetrable town walls, the trademark drawbridge and Turkish baths that speak volumes, this is one certainly one of the more memorable things to see in Skiathos. 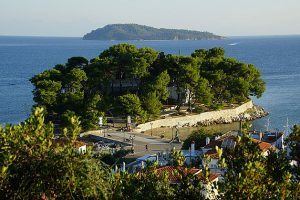 Located across the port of Skiathos, Tsougrias is a very popular island in offering everything from pretty pine trees to healing eucalyptus, whilst notwithstanding the most amazing beaches with uber-clear waters. Not particularly organized, the naturally beautiful backdrop of the island makes for a most relaxing atmosphere. Tsougrias also features a picturesque church by the name of Agios Floros that is well worth the visit. 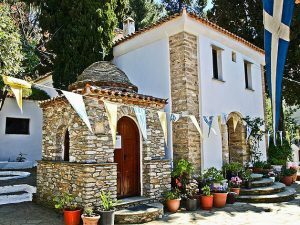 Situated 13 km west of the town of Skiathos and an estimated 2 km from the beach Aselinos, the Monastery of Panagia Eikonistria claims fame from the Virgin Mary. Also called Kounistras, this Monastery is taken to be the most sacred place in all of Skiathos, since the image of the Virgin Mary was found nearby in 1650. Miraculously and divinely inspired, this monastery complex was built around the site of the holy appearance. Lalaria amounts to one amazing white sandy beach that is only reachable by boat from the port of the capital. Situated on the north-eastern tip of the isle of Skiathos, Lalaria boasts a uniquely curious feature in the form of a natural sort of submarine passage. The illuminating blue and dark caves are furthermore located just before Lalaria- and definitely worth the visit by boat. Located in the south-western part of Skiathos (12 kilometres from Villa Eleven), the lagoon Strofilia creates a beautiful landscape that is famously chosen by the migratory birds for resting during their journey. 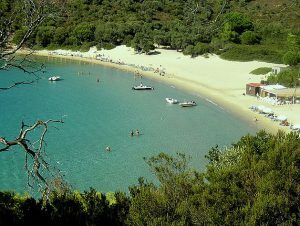 In communication with natural channel to the sea, Strofilia Lake as a wetland, is a rare find in Greece being surrounded by pine forest. Why not visit the Old Town with its narrow, nostalgic and pebbled streets? See some of the remaining traditional mansions that boasts typical combinational architecture, drawing inspiration from both the islands and the idyllic Mount Pelion villages. 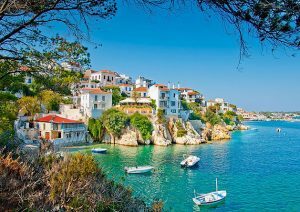 Last but certainly not least, is what all of the above mentioned revolves around, which is the capital of Skiathos itself. This town is dramatically and strikingly built on the south eastern tip of the island, featuring a windless bay that’s filled with roof-tiled white houses and narrow streets. Sightseeing Skiathos will surely not be complete unless visiting the Town itself, which in turn features a range of other interesting things to see in Skiathos.